The Bouma Group Welcomes Stephen Hollowell to their Real Estate Team! 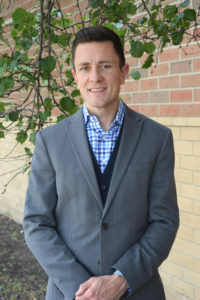 Stephen grew up in the Ann Arbor Area, attending Burns Park, Lincoln, St. Francis, and Greenhills schools. He graduated from Eastern Michigan University in 2005 with a BA in Journalism, and went on to pursue careers in hospitality, writing, and sales. New to real estate, Stephen is excited to work with the skilled and experienced team at the Bouma Group. He brings a keen eye for detail, passion for customer service, and commitment to excellence in helping clients find the home of their dreams. In addition to working hard, Stephen enjoys the great outdoors, biking, swimming, cooking, reading, music, art, and travel.